Buy our new club CD, featuring hits such as: MUD GLORIOUS MUD | MONEY FOR NOTHING | GREEN, GREEN GRASS OF AWAY | NO STRIPES TIL NEXT YEAR | AND MANY MORE! Women's coach and recent recruit Bret Collins has sent more shockwaves through the sporting world. After the recent influx of Manchester wrestlers Jack Gallagher and Tyler Bate to the WWE, Bret has become the latest regional sporting superstar to transition to the heavy-hitting world of American wrestling. Now billed as "The Mercenary", and managed by his overweight sidekick "Shady Hayesy" (who tosses brown envelopes to opponents during matches), Bret is set for a productive run in the glamorous wrestling industry. 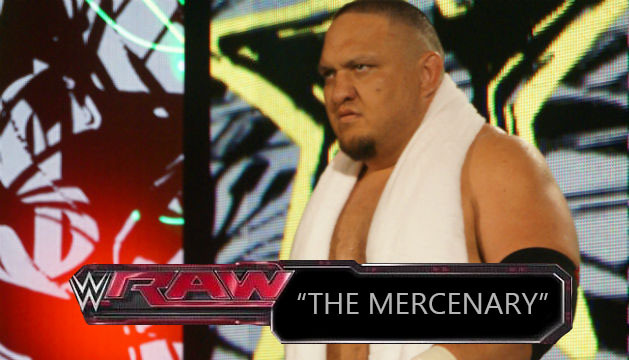 The Mercenary debuted live on RAW last Monday night, after a frantic 7 hour journey from Woodhey High School, where he'd been "showing the ropes" to a number of younger Totts players. The Mercenary is set for an epic feud with the masked Tottington villain Nacho Libre, who made appearances around the cricketing North last year. Nacho is said to be a different man each week, though these rumours remain unconfirmed.